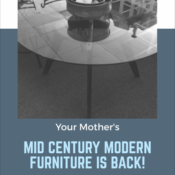 Your Mother’s Mid Century Modern Furniture Is Coming Back! This is the 5th installment of 10 things To Expect When Downsizing. See Links to previous posts to the right and bottom of this article. 5) Your Mother’s Mid Century Modern furniture is coming back. TRUE! The demand for Mid Century Furniture is on the rise! For a few years now furniture buying trends have been moving away from Antiques that have traditionally been a staple in most American homes. The clean lines of Mid-Century wood pieces have a strong following right now. Mid Century Modern furniture can mix well with other styles (HGTV shows you how!) and does hold value better than some older furniture from the same era. If you live in a big city, you are more likely to get higher resale prices. 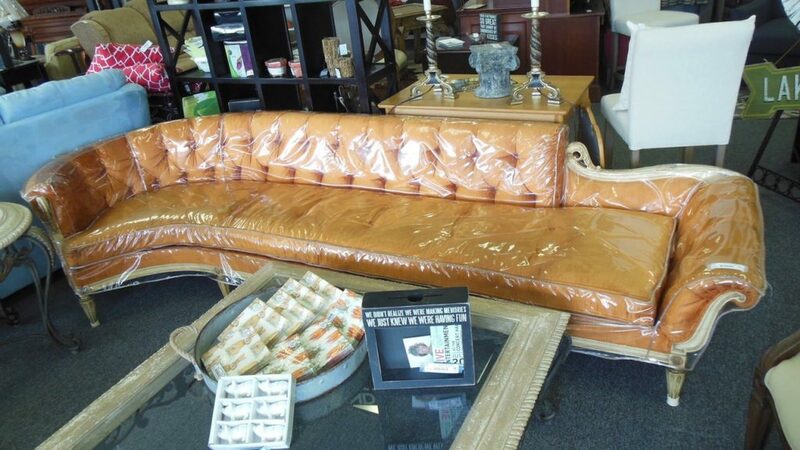 However, as Huntsville grows we are seeing an increased demand for truly vintage Mid Century Furniture here as well. Mid Century Modern furniture is especially desirable in loft apartments, minimal interiors, and small spaces. The smaller scale, simple lines, and wood finishes can also mix well in an industrial space. Millennial’s are especially drawn to this look. Males, in general, tend to love the clean lines and no fuss details. What exactly is Mid Century Modern Furniture? Mid Century pieces are recognizable by their thin, streamline legs, simple shape with little adornment and are often made of teak. Generally, we are talking about furniture from the middle of the 20th century – most designers say about 1933 to 1965, though some purists limit the timeline to 1947 to 1957. This does not mean all pieces from this period are desirable! 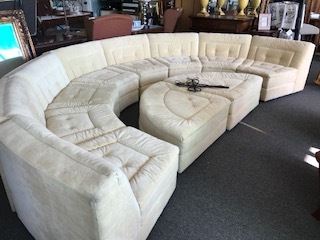 When I talk about Mid Century furniture that sells well in our store, I am thinking mostly of wood furniture, not necessarily upholstered furniture. We have accepted only 2 sofas in the last 3 years that were an exception to that rule. Both were amazing finds in that they were in great condition and had a unique, vintage style. There is a difference in Vintage/Retro and Mid Century Modern. Vintage sofas can be reminiscent of a similar time period and some remain in demand for themed interiors. The value in these pieces lies in the style and solid color. We would not have been able to sell either of these cool pieces if they had been floral or a multi color pattern. Even though these 2 sofas are extraordinary, the selling price was much less than that of a true Mid-Century sofa. Generally, Mid Century tables, console pieces, dining room buffets, and bookcases are the most sought after pieces. Mid Century Modern furniture has a very contemporary, clean line look. Often consignors want to lump Early American and 1970’s style furniture in the same category. There is a huge difference and age alone does not make a piece Mid Century Modern. 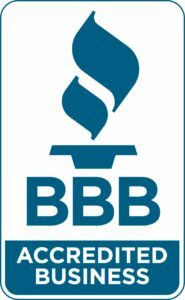 We are happy to look at your pieces and let you know if we can accept your items. You may email us pictures, bring in photos, or we can make a home visit if you have a lot of items. 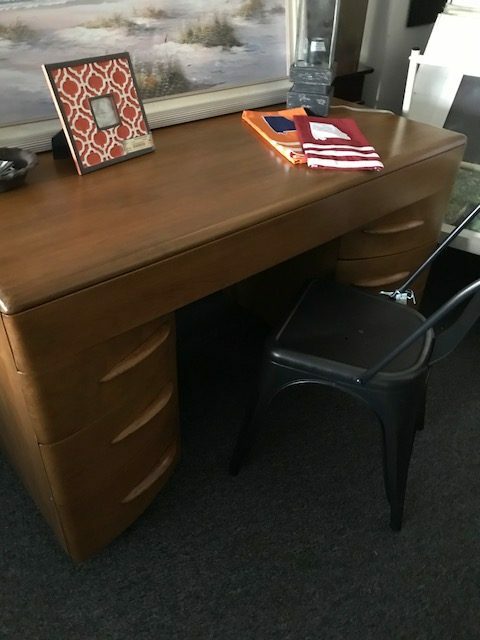 If you do have Mid Century Modern pieces that are still in great shape, you can indeed sell them with us. We sell almost every piece that comes in! 10) Get a plan – You will need help!